I want to apologize to any of you folks who are so patiently waiting. I never dreamed this process was going to take this long. Anyone who has ever done construction work has been telling me about the delays that can sometimes take place when applying for permits. I figured at most we were looking at 4 � 6 weeks and estimated our opening based upon such. The whole process took over 4 months. A couple of weeks ago I received an email from a woman who was very upset with me, because I keep changing the proposed opening of the studio. I want to assure all of you that I am equally excited and anxious for that to happen. I�m so pleased there is a contingency of folks ready for us to open the doors of Bikram Yoga Evanston, and we�re not too far away. Personally, I wish we were opening tomorrow! So I�m not posting a �date� for the opening until I�m ABSOLUTELY sure it�s gonna� happen. �Live & Learn�. Everyone involved with this project had hoped we would be done by July, but such is life. My Grandmother used to say, �People make plans and God laughs.� John Lennon said, �Life is something that just happens while we�re making plans.� Turns out, they we�re both very right. So, it looks like we�re back on track and I want to thank you again for your patience. I promise it will be well worth the wait. This facility will be exceptional in every way. The heating system is the only one of it�s kind in the area and the community we are about to build around yoga & special events will be legendary. Stay with me, we start construction on Tuesday, July 1st� finally. PS: I�ll be posting photos of the construction soon! 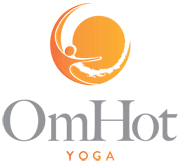 All Content is © 2003 - 2019 by OMHot Yoga. Web Site by Right Angle, Inc.